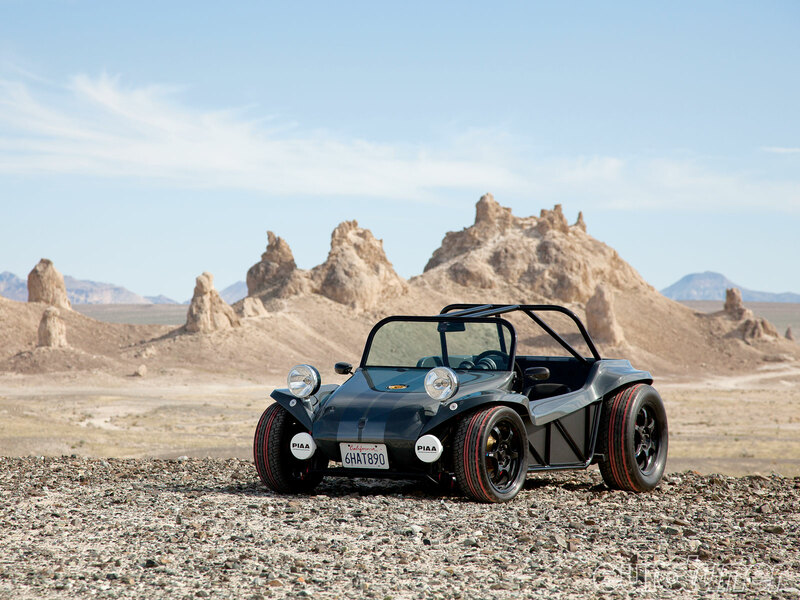 Simple small car built to test some custom 3D-printed elements. 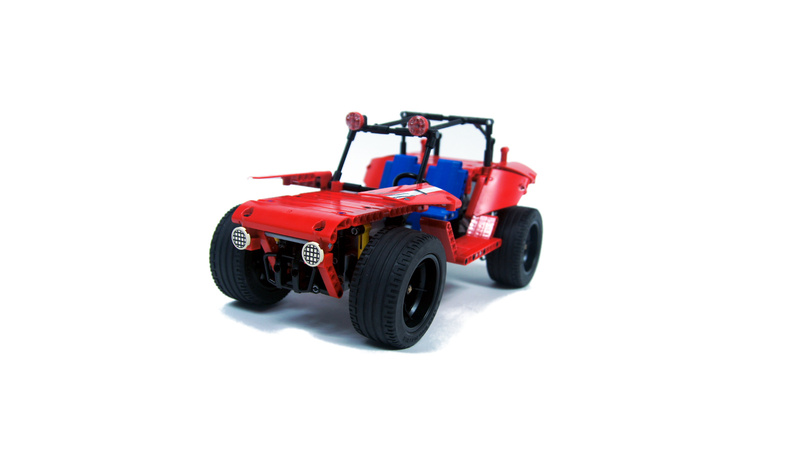 Features RWD drive, steering and full suspension. 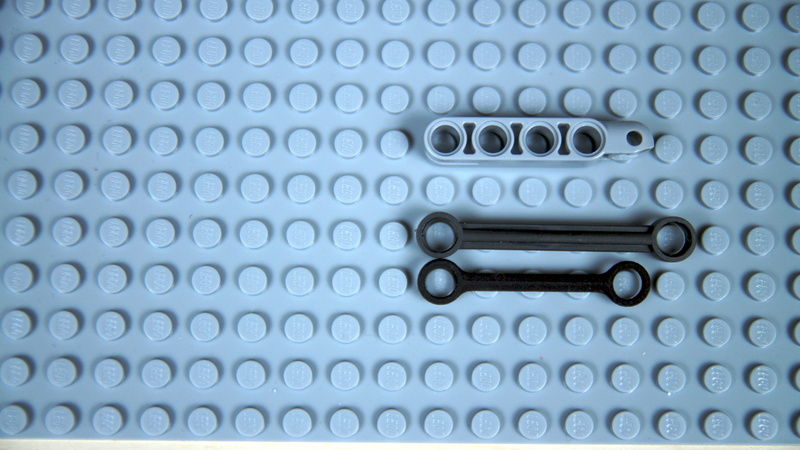 I have recently bought a number of excellent custom LEGO-compatible elements designed by Efferman at Shapeways. 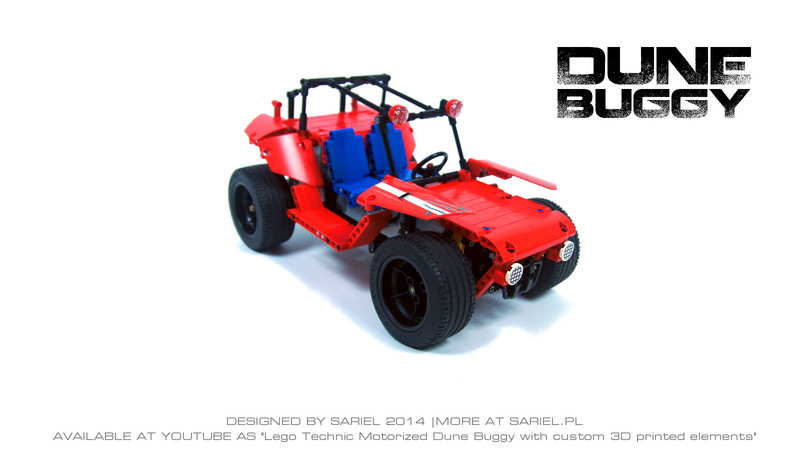 It was interesting to test them as stand-alone pieces, but I thought a practical test in some MOC would be more revealing. Thus this simple car was created over a single evening, including Efferman’s suspension springs, a heavy-duty differential and 5-studs-long steering links. The model was built over a single evening and intended to be simple and lightweight. 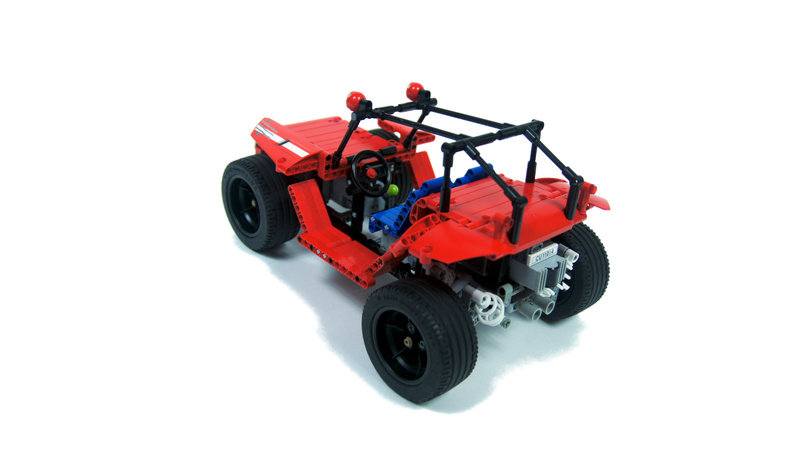 A simple studless body covered chassis with full independent suspension, sporting 2 LEGO shock absorbers in front suspension and 4 Efferman’s springs in the rear one. Since the springs proved very soft when compressed, and prone to deform due to lack of a “core” present in shock absorbers, I have used them in inverted set-up, so that the suspension was stretching them rather than compressing. With one spring’s end attached to the bottom of the chassis and the other attached above the suspensions’ upper arms, the entire set-up was actually quite space-efficient, if a little weird looking. 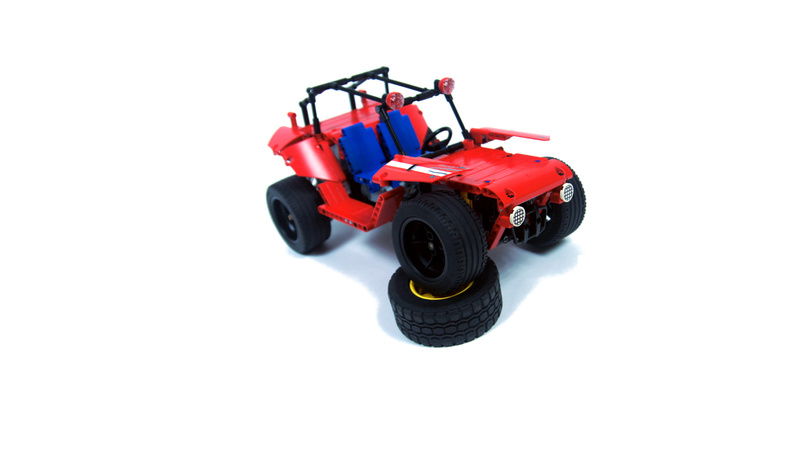 It turned out to work very well, too, with large suspension travel and impressive responsiveness and softness, which I think would be difficult to match using LEGO shock absorbers. It is unknown how the springs would perform with a heavier load, and whether they would permanently deformed over time, but performance in this model was really great, especially with its short suspension arms. The steering links worked as intended, although they were tighter than original ones and thus added some friction. 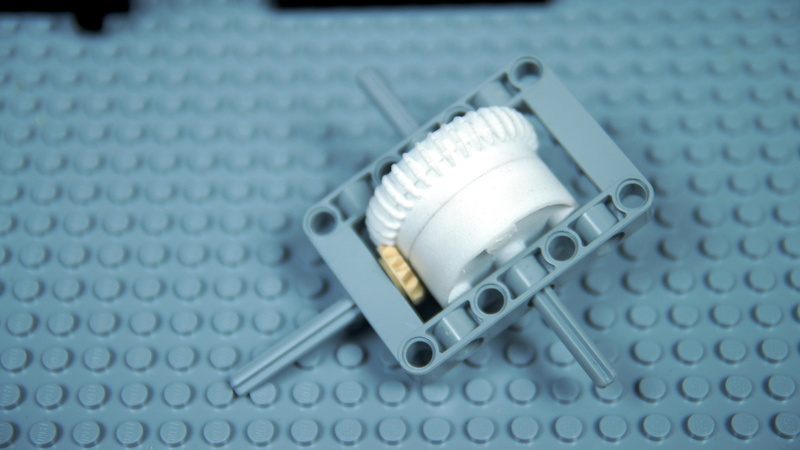 The differential, which was actually just a three-piece housing for regular LEGO gear wheels, worked well too, although it was necessary to polish its side to make it rotate inside the 5×7 frame smoothly. It still created more friction than a LEGO differential would, but it proved resistant to stress, which I tested by driving the model up steep slopes repeatedly (not shown in video because it looked boring). 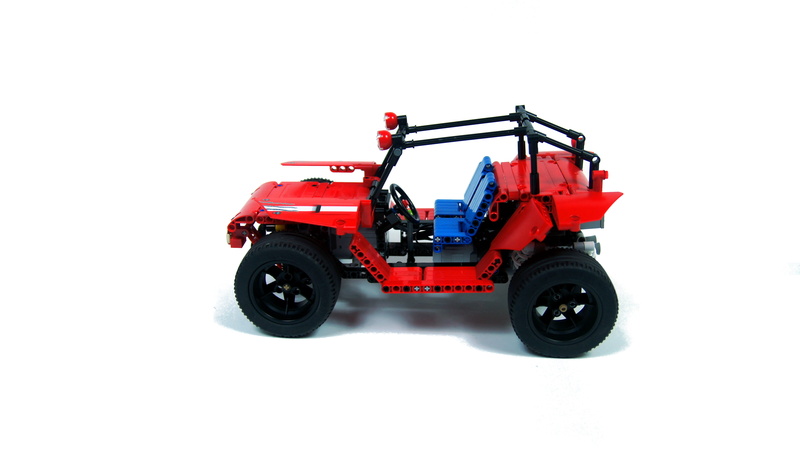 The overall performance of such a simple vehicle proved more than satisfactory. 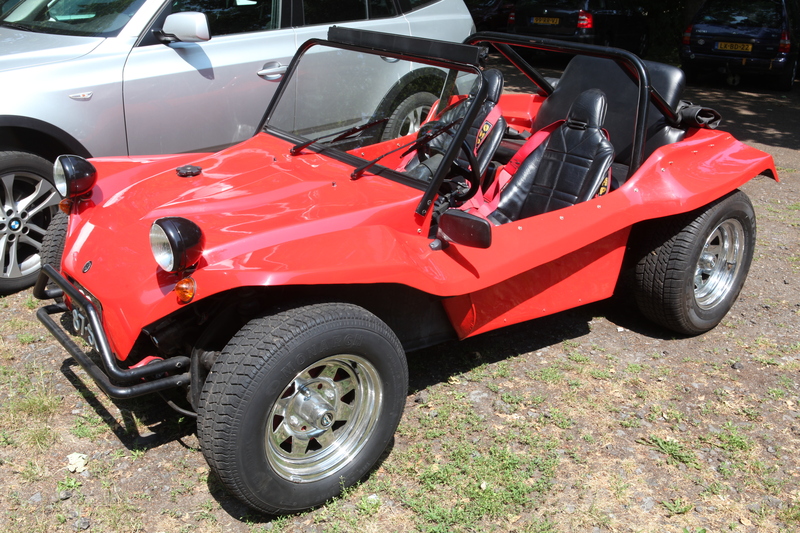 Its top speed was rather low, but it had plenty of torque, enough to drive over grass and up roughly 150% grade slopes, where it stopped only when its rear wheels started slipping. While I don’t intend to make 3D-printed elements a permanent part of my creations, it was interesting to observe the performance they can offer. 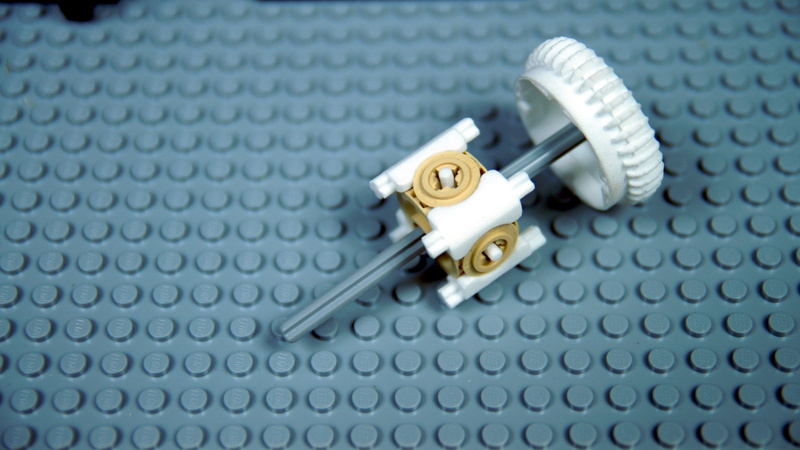 I consider 3D print a very interesting technology, one that can break LEGO’s monopoly on introducing parts that open up new possibilities – and one that can give it incentive to experiment with new parts. Is it in the audio part? Some free YouTube song, I don’t think it even has a name. One question, whats the song? In theory you can, but you would need to use gearing between the axles to make up for this difference. Differential alone won’t solve that, it will simply transfer all torque to the axle that is less loaded at the moment. In practice, this is very difficult and impractical. Hi, one question not related to this model. 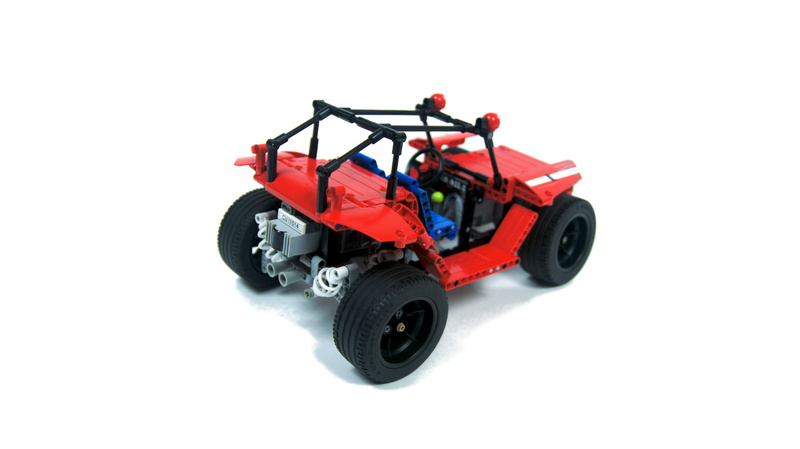 Can you make a 4×4 with axles with different wheel sizes if you put a differential between the axles? Thanks. 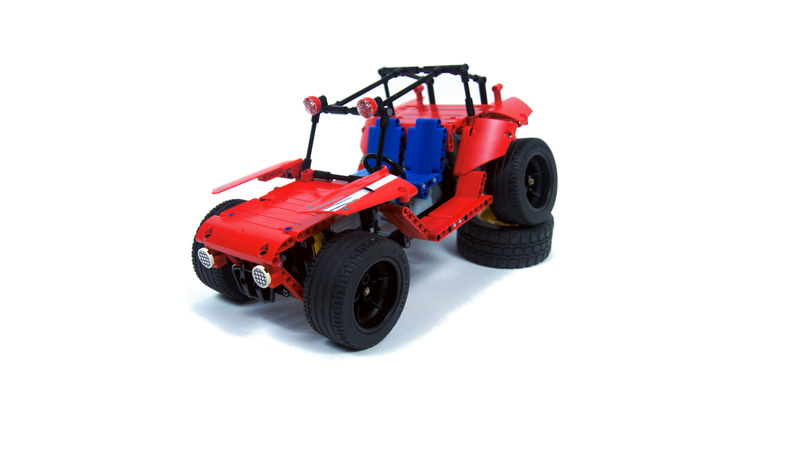 The LTM will use Unimog’s wheels, so I don’t know the exact scale but it’s gonna be pretty much as big as you can go with original LEGO. I’m a huge Lego fan, but on the same time, I think this custom pieces are a good idea, may be they’ll could be a inspiration for new or more detailed Lego original pieces. I respect all the opinions, pro or con. 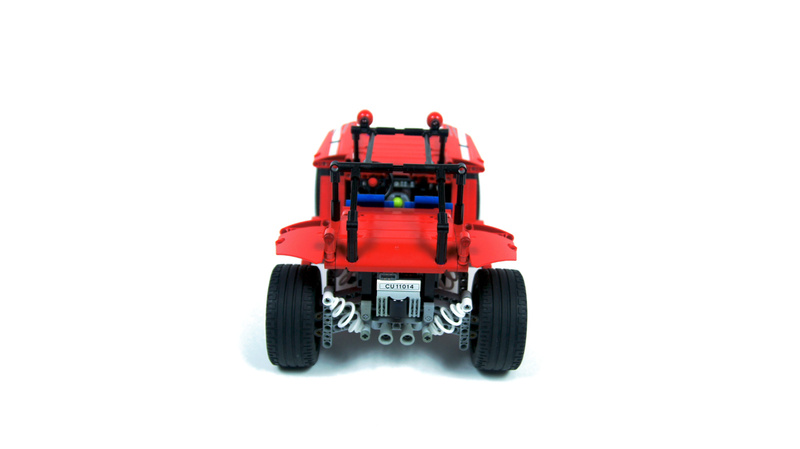 Of course the 3D Printing impacts even on Technic. But with my philosophy, I stay with original parts (like all excluding ropes of sufficient lenght), but run in the “small mod” category allowing to treat any part by reducing it, taking material off. So i.e. I like my 1/2 wide 12 and 20 gears and much more patrts cut to the desired dimension. And I add the “nonlinear approach” to that, using the plastics inherent elasticity, like Effermann’s springs. Helps a lot for i.e. thight crane turntables, but difficult or impossible to sim… Btw: You can tell more about the planned Liebherr LTM 1250’s scale? amazing model! must have been fun to drive! Any way what did you spend more time doing making the model or the video? I can’t speak for the intent behind the springs, but they work splendidly when stretched. I think they have some advantages over regular shock absorbers, for example they don’t take space above the suspension. I don’t really understand these springs though. Are we supposed to place them around a central ‘column’ to make them act like shock absorbers? Or were they made with different applications in mind? Dat differential. I might just order a couple. Damn you Sariel for making me spend more money!